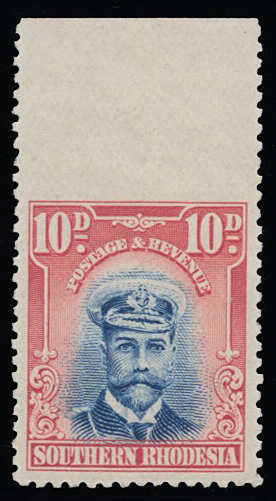 1924 KGV Admiral 10d, major variety IMPERFORATE TO UPPER MARGIN. Hinged on margin otherwise unmounted. Very fine for these. RARE. SG 9 var.